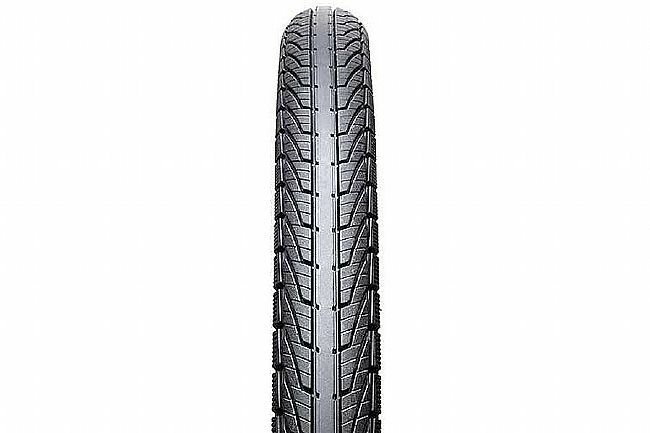 Using their Assurance All-Season car tire as a model, Goodyear created the Transit Tour 27.5-inch Wire Bead Tire, a durable, versatile, tubeless-ready touring / commuting bike tire. For reliable, all-weather traction, the Transit Tour features a siped, directional tread pattern and an adaptable rubber compound. This tire is tough, too, thanks to its S3: Shell, a 3mm layer of Aramid infused sub-tread, which helps protect against punctures and cuts. 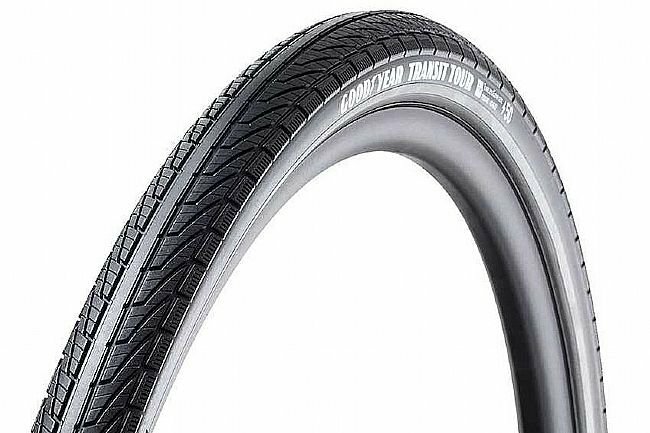 Reflective sidewalls enhance riders' visibility in low light conditions. Ideal for touring, commuting, and eBikes. S3: Shell - 3mm layer of Aramid Infused Sub-Tread.